The 2018 Ford F-150 is still available with a good old fashioned V8, but the top engine option is the turbo 3.5-liter EcoBoost V6. Even better than that is the High Output 3.5-liter EcoBoost V6, but you can only get that in the Raptor off-road truck—until 2019, when you’ll be able to get the big booster daddy in the ultra luxurious F-150 Limited. Engine options for the 2019 F-150 are going to be pretty diverse. You’ll be able to spec a 3.3-liter naturally aspirated engine for base trucks, a 3.0-liter Power Stroke diesel, a 2.7-liter EcoBoost, the standard 3.5 EcoBoost and now the High Output EcoBoost if you’re willing to spend $61,000 on the Limited luxury trim. I assumed the V8 will continue to be an option too, I had reach out Ford to make sure and yes: the company has confirmed that the 5.0-liter naturally aspirated V8 will still be in the lineup. I’m always a little wary that Ford will try to drop that engine from the options list when we’re not paying attention. Anyway, back to the main program: the Limited is the absolute top-trim F-150 right now, starting at the afore mentioned $61,000 and capable of being accessorized to nearly $70,000. It is, somehow, even plusher than a King Ranch or Platinum truck and basically just bristling with soft-touch surfaces and idiot-proofing proximity sensors. The Raptor starts at $50,000, for your reference. The 3.5-liter EcoBoost V6 that represents the most powerful engine for non-Raptors until the 2019 model year is rated to make 375 horsepower and 470 lb-ft. That’s an ample amount of juice, and I can personally attest to the fact that a 5,000-pound truck with that engine is no slouch. The 3.5-liter High Output EcoBoost V6 that’s the only engine in the Ford Raptor is rated to a stump-splitting 450 HP and 510 lb-ft of torque. In both the Limited and Raptor, the High Output EcoBoost engine will be paired to a 10-speed automatic. Since both the Raptor engine and the regular F-150 engine option have the same displacement and pretty much the same name, it’d be logical to assume that they are essentially the same mill with a slightly different computer tune. 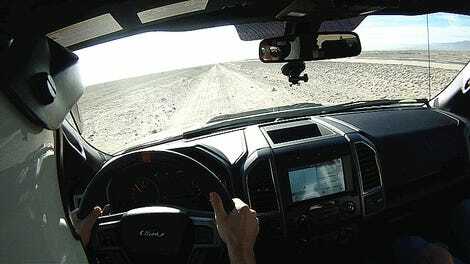 But when I first drove the second generation Raptor at the end of 2016, Ford’s people promised me that’s not the case. The 3.5-liter twin-turbo V6 Ford calls “EcoBoost” has been the top power option for F-150s since 2015. For 2017 that engine was completely revised for the regular version of the truck and a special High Output version was dialed up for Raptor. - New pistons, which allow for higher compression. - The compressor wheel on the turbo, which allows for a peak boost of 18 psi. - The exhaust, which is a true dual system on the Raptor with a stainless manifold instead of cast-iron. 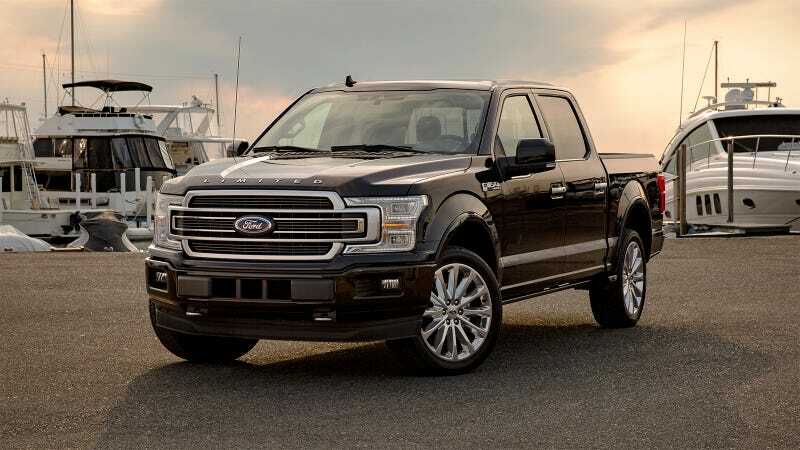 So if you wanted all that paired with less off-roadiness but more luxury, the 2019 F-150 Limited is your jam.